Opposition political parties participating in the Vubwi and Kasenengwa by elections have rejected the Electoral Commission of Zambia (ECZ) decision to electronically transmit the September 11 election results for fear that the system may lead to anarchy. The ECZ has announced that results will be transmitted electronically from the polling stations to the totaling centre as a pilot project but MMD president Nevers Mumba has disagreed with the system because it has only been introduced in the last minute. 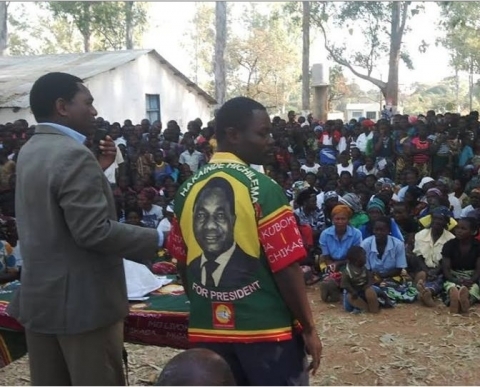 UPND Secretary general Winstone Chibwe maintained that his party will only accept results obtained manually from all polling stations and transmitted to the totaling centre. And a watchdog investigation reveals that the electronic transmission system is aimed at rigging the elections by the PF government. An ECZ insider says it has shown that some political parties do not have representatives at polling stations and that would mean that all votes gained by parties that are not represented shall be aggregated to the PF candidate. The source says the electronic transmission gives the returning officer absolute powers to transmit unchecked and unverified results. In July, disgraced PF secretary general Wynter Kabimba publicly confessed to having smuggled in Kenyan nationals to rig elections in favour of the PF. The Kasenengwa and Vubwi seats are very crucial to the PF so as to enable them entry into the opposition dominated Eastern province. Officials from other parties have argued that since the date of results was announced way back, ECZ must have taken time to train other stakeholders in the application of the new syatem instead of just introducing it at the last minute.